This book was more of an autobiography rather than a fitness instruction manual. Having said that the author(s) have done a fair amount of work to motivate individuals who are new to fitness. A must hear Audio book! Yes, I definitely would. I loved every second of it, I could not wait to get back to it and keep listening. Vinnie is an AMAZING story teller. I was laughing a lot; he has the great sense of humour and one of the best storytellers! I would not mind listening to it again! The information given in the book was wrapped in real life stories so you could relate to it and it was easier to perceive information. One of the best books i ever heard/read! This book was great, it's much more than just a fitness book. It gave some easy to follow health and fitness tips, but the best part was Vinnie's story. The audio book was great, you got great value for money. I found myself laughing a lot. Would recommend it to anyone. Incredible! This book changed my life! I lost several pounds and gained so much of confidence and muscle. Vinnie's work is world renowned and this book is a bible of his mantra, NSNG which is a great and intelligent way of living. I buy this book quite often as a gift for my loved ones who are just struggling with the confusing messages of the health industry. I just love it! A great story with the right balance of fitness information, research and personal story. Even better was having Vinnie narrate it because it felt like you really did have your own personal trainer. This is an autobiography. The actual nutrition and fitness advice is lacking severely. 3. If you want to massage women's breast implants then become a personal trainer. The other reviewers are right, I loved it! I only read this book because it got such great reviews from other readers and I'm very happy that I did. I thought it might be a whole mess of celebrity dirt, and I couldn't have been less interested in that, but it wasn't what I expected at all. The main reason I liked the book is that Vinnie comes across as such a charismatic, decent, no-nonsense, imperfect, relatable guy. He gives out a little bit of very sensible fitness advice and mainly left me with the impression that 1) there is a generalized 1-size-fits-all fitness/nutrition plan that anyone can use as a starting point, 2) there are no detailed fitness/nutrition plans that are 1-size-fits-all, and 3) he's on your side, with full awareness of how hard it can be for some people, no matter where you are in your journey. The second theme of the book is how the fitness industry fleeces the public. Finally, there are many funny stories from Vinnie's life as well as some inspirational stories relating to struggles that he's overcome. It is light reading/listening, but I laughed out loud a lot, enjoyed the experience, and even learned a little. What made the experience of listening to Fitness Confidential the most enjoyable? Unlike 99% of the audio books out there, Vinnie (the author himself) actually reads the book and sometimes goes off the script and inserts rants and thoughts. I have already read the book, which was awesome for its content, but the audio book brings my reading to a whole new level. I also enjoyed the last section with Dean Lorey, co-writer on what went into writing the book. What other book might you compare Fitness Confidential to and why? What about Vinnie Tortorich’s performance did you like? I love his true southern Louisiana accent in addition to his occasional off text rants. It made me feel every emotion from inspired to laughter to tears. I purchased the audio Fitness Confidential based on the recommendation of the Adam Carolla podcast. I have never listed-to Mr. Tortorich's podcast. 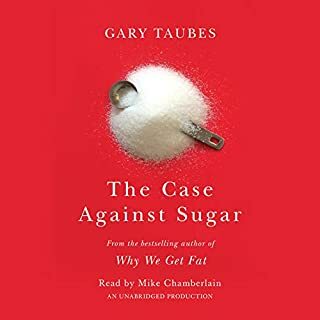 It follows roughly the same format as Fat-Burning Man by Abel James with respect to dietary recommendations and reviewing the evolution of the processed food industry. Fitness Confidential is best suited to one completely new to fitness. If you are presently active and looking to level-up your routine this is likely not the book for you. The cover got my attention. The audio kept it. 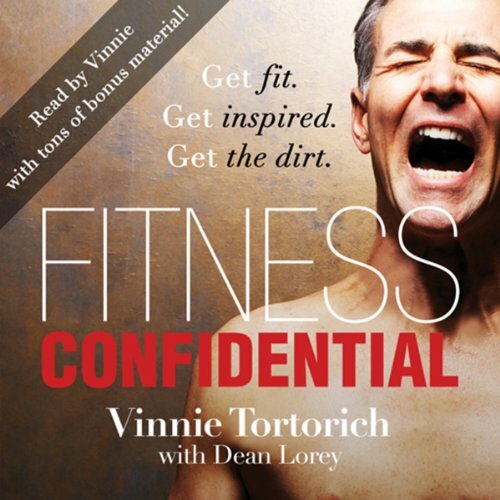 Would you consider the audio edition of Fitness Confidential to be better than the print version? I love the audio version because of Vinnie's rants that interrupt his reading of it. I've read a lot of fitness books prior to this one and none of them left me feeling as liberated from my own emotional/ food addiction without ever really calling it that. Vinnie's model is simple, easy to follow and you don't have to buy a bunch of books to get started. This audiobook really has changed my life. So much so that I am interrupting a jog--heart strap monitor on already--to write this review. What does Vinnie Tortorich bring to the story that you wouldn’t experience if you just read the book? This book and Vinnie's reading of his own words has something for everyone as it runs the full gamut of emotions. I laughed, I pondered, I identified, I felt empathy, I'm a guy so I won't say I cried. Diets are fitness masturbation. Vinnie gives you Fitness Multiples. 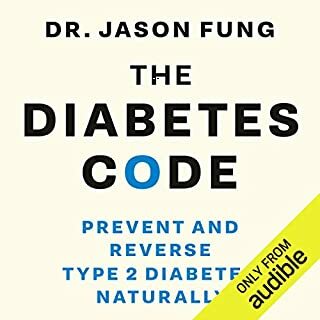 This audiobook has started me down a lifestyle changing path and has opened me up to viewing fitness information as an informed consumer. 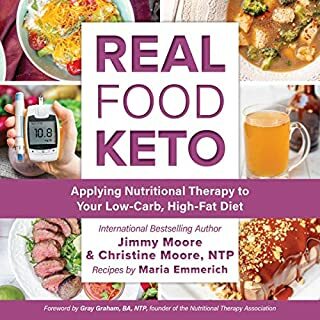 I know where to spend my money now--mostly on real food, and how to avoid the diet yo-yo traps. Use your credit and get this audiobook now! Would you listen to Fitness Confidential again? Why? Yes! A candid look at fitness and the fitness industry. The truth about what works and why. Finally someone wrote a book that cuts through all the crap and gets real on how to get real results! Thanks Vinnie! Why we get fat. And what to do about it. I thoroughly enjoyed this audio book and have to say, this is how they should be done. Vinnie doesn’t do it like everyone else, he gives you bonus material which he calls “Lagniappe” to give his reader a little extra. I found myself eager for each new chapter and at times just couldn’t stop listening. 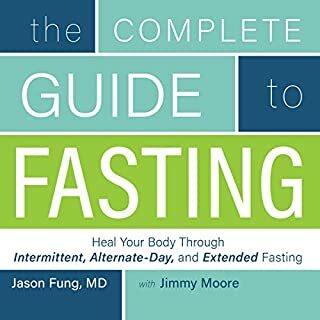 I felt much more motivated and excited about making life changes after this book than I have from other prescriptive books, which focus on a lot of rules and instructions of what to do. Vinnie doesn’t do it that way. What was one of the most memorable moments of Fitness Confidential? I was hooked on the bonus chapter of his experience doing a 508 mile bike race. Have you listened to any of Vinnie Tortorich’s other performances before? How does this one compare? I didn't know who Vinnie was before I listened to this audio book. Now I'm a fan. I really appreciated the frank talk about what works and what doesn't work. He lays it out that there are no short cuts or lose weight fat schemes. It takes hard work and commitment. 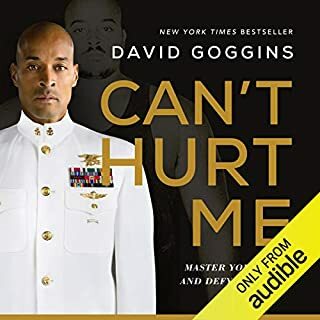 I believe the audio book version is better than the print book because he breaks from the reading with additional material and his narration style feels so natural and real. Highly recommended. I have a hard copy of this book, which is fantastic. When I found out that there was an author narrated audiobook available, no questions asked I was going to get it. Vinnie is a great story teller and you "get a little something extra" via the audiobook as well. If you're on the fence about getting this, don't be, buy it. I must first admit that I am cheating a bit. Fitness Confidential came out on audio book tonight, and I've only listened to about an hour of it. I have however read the physical book fully. Vinnie tells it like it is. He isn't trying to sell you meal plans, supplements, or any of the other garbage that other fitness "programs" offer. I've been following Vinnie's advice now for just a month and I've seen some great gains (losses really). He is a very down to earth person and I think you'll really enjoy this one. No holding back honesty. I needed this kick in the but and hope I remember to plug in to the podcast. If you are into Sport/Triathlon/Running Get this!! I loved this book. This guy is a real person and though there is little in the way of technical advice the spirit of the man shines through, BRILLIANT!! I'm listening to it for the second time and I've only just bought it!! So much more than merely a fitness/diet book! I downloaded and listened to the audiobook over the last few days, and I have to say, I absolutely LOVED it. 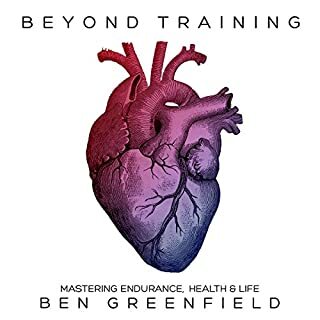 I went into it a bit unsure, because I thought a lot of of would be a rehash of diet/fitness info I already knew, and/or lots of discussion about training and competing in endurance sports, which isn't a great interest of mine. I was pleasantly surprised to find Vinnie and Dean's book was so much more than my preconceived notion of what it would be like. This book is like a big No Sugar No Grain casserole--there's a little bit of everything thrown in there, seasoned with all sorts of of personal anecdotes from Vinnie. There is diet info, exercise info, info on how to choose a gym and/or personal trainer, and how to get the best deal on gym memberships--this is handy to know. Vinnie also shares some great thoughts on strength training, which actually surprised me! As a faithful listener of the podcast, it's rare that I hear Vinnie or his guests talk much about lifting weights, so it made me very happy to hear Vinnie advocating for strength training, and the old school way--barbells and dumbbells, not the useless machines the globo gyms are all full of. Apart from all the useful info, Vinnie and Dean have also woven a really touching, and sometimes heart-wrenching story of Vinnie's personal trials. I won't spoil the book by getting into all that, but I will just say that this aspect of the book follows the trajectory of one of Vinnie's insane endurance events--lots of difficult uphills and downhills, triumphant moments as well as a lot of moments that were anything but. I really admire Vinnie's indomitable spirit and his tenacious nature, and of course his great outlook on himself and life in general. What a dude! The only critical thing I have to say, which isn't so critical, is that as a podcast listener, I had a hard time getting into the audiobook initially because I kept expecting/hoping Anna Vocino would pop up and join the conversation! Haha! Great book, and I'll definitely recommend it to anyone, whether they think they're interested in this stuff or not. It's entertaining, educational, and a marvellous story as well. Well done, Vinnie and Dean! Yes, The enthusiasm and common sense to what Vinnie is describing gives a confident feeling to embracing that energy inside. Vinnie's personal approach to the book, he didn't try to use other sources to fill up his book, it's all first hand material. I love this book and vinnie adds lots more to the audible version. I recommend this book to sop many people. Love it. A great story, entertaining, with great answers to diet and training, hell maybe even life. Brilliant book. Vinnie tells you his own story and achievements, his struggles, his ups and his downs. awe inspiring and Vinnie tells it in his own words. This book had me in stitches laughing in some places. Defiantly recommended. includes brilliant fitness and nutrition tips and stories. READ IT. Best fitness or life motivational book I've ever read or listened to. this one is worth listening to. Wow I love this book. What a guy! This book has everything. A guide to getting off the couch, inspiration for giving up sugar and grain, a legendary fight against leukaemia (which makes you laugh and cry), nauseous inducing procedures without anaesthetic (3 times), extreme fitness (without being a shouty idiot about it), extreme bonkers ultra fitness, a big up of Amy Dodson (what a woman) which makes you realise everything is possible and a sneaky peek at a love story (yeah I noticed). Get the audiobook because Vinnie Tortorich has such a great voice, gravelly Italian from Louisiana - really special. Also there is loads of extra stuff. Wish he read all the audiobooks. And he gives the best advice - don't buy fitness crap, it is overpriced and will gather dust - just get a 3$ skipping rope. Never a truer sentence spoken. Big fan of Vinnie now, probably listened to this first a year ago but now an avid follower of his podcast and on twitter. Try to follow his NSNG lifestyle as much as I can and feel so much the better for it.